Hagyard Equine Medical Institute, whose partners are already fighting a civil lawsuit over a contract dispute from three former employees, was hit with a class action suit this week – this one centering on some of its veterinarians' practice of misdating pre-sale radiographs. Illinois-based owner/trainer Tom Swearingen is suing the hospital, individual Hagyard surgeons Drs. Michael Hore, Robert Hunt, Dwayne Rodgerson and Michael Spirito, as well as Lexington-based CPA/consulting firm Dean Dorton Allen Ford and up to 100 unidentified co-defendants who sold or consigned horses at Keeneland. The sale company is not named as a defendant. 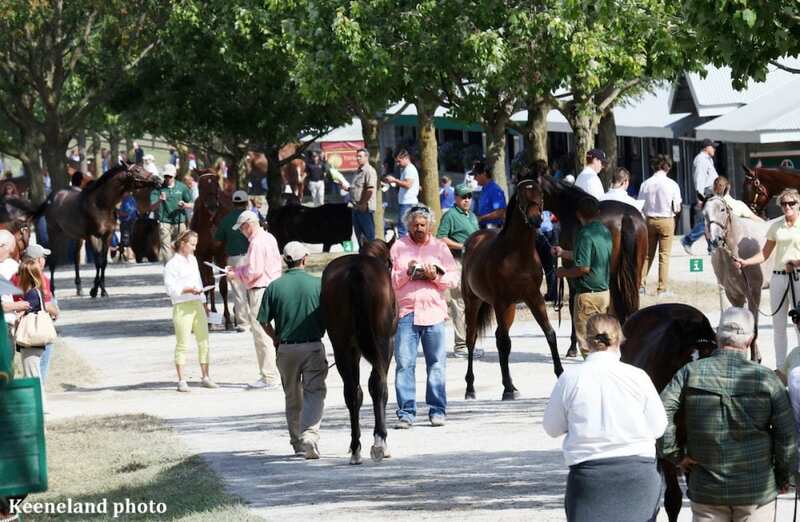 Swearingen's complaint states that the accused veterinarians misdated pre-sale radiographs bound for the repository at Keeneland ahead of the September and January auctions; had those radiographs been dated accurately, they would have been ineligible to appear in the repository. Swearingen claims had he known some percentage of repository images were willfully misdated, he would not have gone shopping for horses at Keeneland. Between 2007 and 2016, Swearingen spent over $400,000 on 24 horses at Keeneland. The complaint states Swearingen is bringing the complaint as an individual and also on behalf of similarly-situated people defined as those who bought one or more horses at the Keeneland sale since the advent of the digital repository, who reviewed images there, and who would not have purchased horses at the sale had they known of the misdating issue. “Had the truth been disclosed, bidding on horses at the Keeneland sale was, in essence, the functional equivalent of playing Russian Roulette: the Plaintiff would be bidding on horses not knowing if they were subject to fraudulent x-rays and not knowing if those x-rays affected one horse or a hundred horses,” the complaint reads. The named veterinarians have already self-reported to the Kentucky Board of Veterinary Examiners (KBVE) for misdating radiographs as far back as 2006 or even earlier. In testimony before the board, those veterinarians said the reason for the practice was heavy workloads combined with auction houses' requirement that horses be imaged within two to three weeks of their sale date. At most, Spirito said in his KBVE interview that a radiograph's actual date may differ from its falsified date by as much as a week. In that interview, Spirito also estimated he misdated 10 percent or less of the x-ray views he'd ever shot. Eight Hagyard veterinarians signed settlement agreements wth the KBVE in January. In KBVE testimony, more than one veterinarian freely admitted consignors were fully aware of the misdating practice. Swearingen's group of unnamed co-defendants is meant to represent the consignors who may have been aware of misdating. He hopes to learn their identities through discovery. Dean Dorton Allen Ford PLLC provided information technology services to Hagyard for many years, and was allegedly asked to place new software on digital radiograph machines to make it impossible for veterinarians to alter dates. After receiving pushback, Hagyard administration instructed Dean Dorton to “unlock” those machines, which according to court documents, its representatives did. The suit charges Hagyard, Hore, Hunt, Rodgerson, Spirito, and the John Does of fraudulent inducement and/or fraudulent misrepresentation; John Does with breach of express warranty; all defendants with civil conspiracy; Dean Dorton of aiding and abetting civil conspiracy, as well as aiding and abetting fraud; Dean Dorton and Hagyard are also charged with negligence. The amount of Swearingen's damages are unspecified, but he is seeking a jury trial. None of the defendants have yet filed their responses to the suit in Fayette Circuit Court. This entry was posted in NL Article, The Biz and tagged dean dorton allen ford, dr. dwayne rodgerson, Dr. Michael Hore, dr. michael spirito, Dr. Robert Hunt, hagyard equine medical institute, keeneland sales, radiograph misdating, thoroughbred, tom swearingen by Natalie Voss. Bookmark the permalink.